Editor’s Note: This post originally appeared on Medium. You can read it here. This post is not an in-depth article about the theory of Product / Market fit but rather a quick post showing how I explain and discuss P/M fit with people. Take the following diagrams as a base for discussions and not as extremely precise drawings that modelize every aspect of P/M fit. In the rest of the post PMF = Product / Market Fit. It happens when the product (= set of features that have a clear value proposition) resonates with customers (= which are of a certain type and have defined needs) that you know how to reach and convert (through marketing and sales). Why don’t I have PMF? It seems easy but getting to PMF can be very hard and there is no silver bullet or secret sauce to get there. Hard work and countless iterations are the secret. That being said there are several common situations when some components are not aligned and which explain why there is no PMF. It’s a common situation at very early stage when you have an idea for a product but not necessarily an idea of who your real customers are and as a consequence how to distribute and market your app. 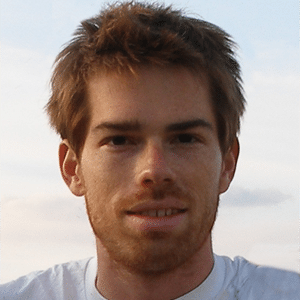 Example: You have an idea for a product which answers your own need but you don’t know yet if this need is also felt by other people and if this is a “must have” or “nice to have” problem to solve (is it a real business or a side project?). 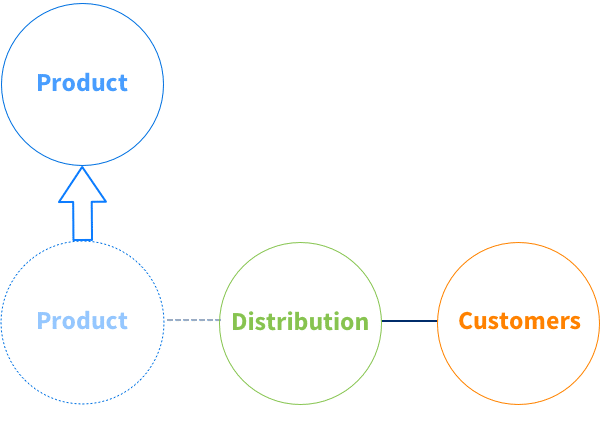 The “product value proposition” — “customer needs” axis is the main aspect to validate at that stage. It’s also a very common situation. In this case you know which problem you want to solve, for which customers and how to attract them but selling the tool and keeping them is extremely difficult. Very often the signs of such a situation is a poor retention rate and no word of mouth (existing customers don’t bring other customers and don’t share the love). You can increase the leads you bring in but the retention rate won’t improve. There is no market. Your product answers a need which is a “nice to have” and not a “must have”, so it’s hard to make users excited and to keep them. The product is not good enough. Whether it’s because of the competition (existing products are better and better known) or just because the current product doesn’t answer the needs of the customer well enough. In this case the product and its value proposition is the main component to fix. 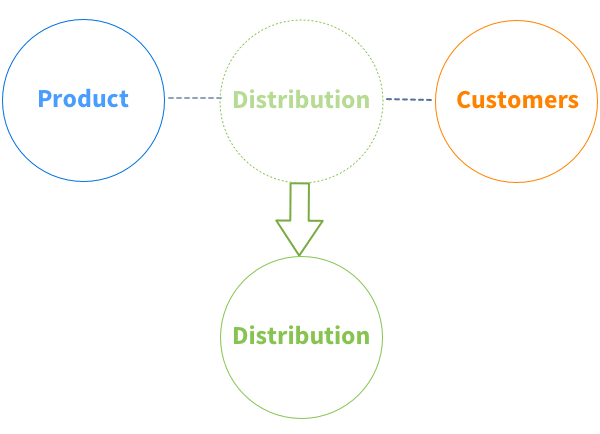 You have a product which answers a clear need for defined customers but your distribution doesn’t follow. A high churn (because you attract the wrong customers) but with a core base of enthusiastic customers who love your product and pay for it (big difference with high churn from #2). You don’t know how to “market” your solution yet. New solutions or complex products can be extremely hard to explain and market to the end users. Learning how to market a product can be a long and difficult process. 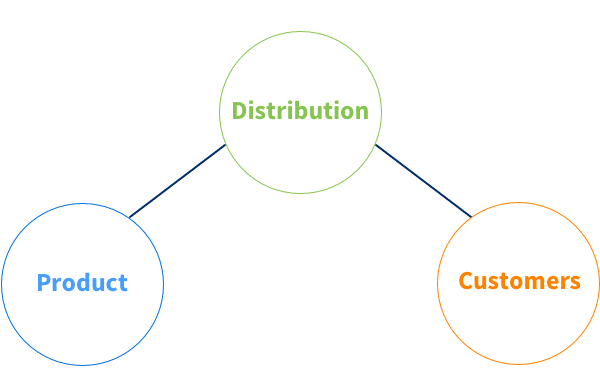 Distribution brings the wrong type of customers. It’s also totally possible to have a marketing team which performs well in term of leads volume but which brings the wrong type of leads. In this case the focus should be on fixing the distribution engine. A common misconception is that once you’ve reached PMF you’ve pretty much won the game and that you just need to fuel your growth. Well, unfortunately, it’s a bit more complicated than that. 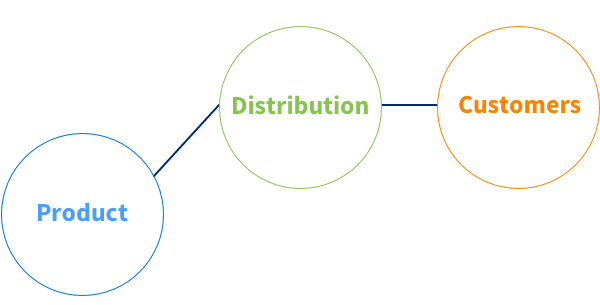 The three components of the graph can evolve and what was once aligned can suddenly fall apart. PMF is a “dynamic” situation that can evolve with time. You need to make sure that you constantly keep these 3 components aligned. Here are 3 common situations where your PMF can break. It’s the normal evolution of many startups: You find a first PMF with a great and simple product, you grow your company, have access to more resources (money, people) as a consequence you can build a better product which offers more features and solves more problems. But suddenly the PMF breaks. Why? Because your initial product appealed to a certain type of customers that didn’t need all the new features that were added. Or because your product was initially not fitted for enterprise customers but now is. As a product evolves it’s possible that the customers need to change too and this is the reason why so many SaaS startups go upmarket with time. In this case you found PMF with a specific segment of customers but you realize after a while that it doesn’t scale. 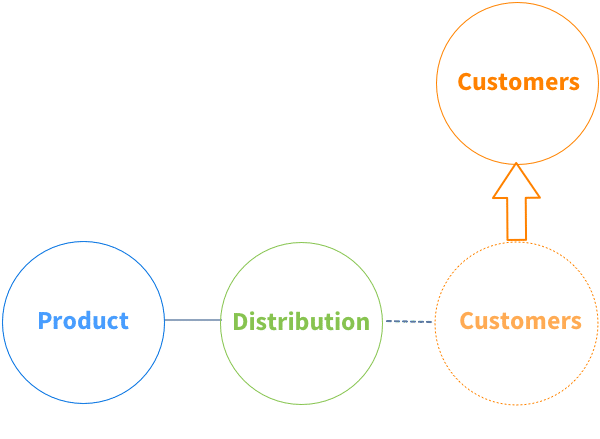 You cannot expand easily the niche that your product serves and as a consequence you have to add different types of customers that can break your PMF. 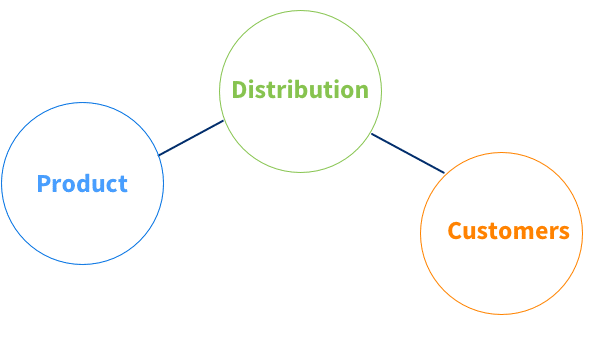 You’ll once again need to align the product and the distribution to your new targets. Definitely rarer but I’ve already seen companies doing really well thanks to a particular distribution channel but suddenly this channel falls apart. Example: You depend on SEO and Google changes its algorithm (or think about Facebook or mobile app stores which can change the rules of distribution whenever they want). What’s your take on PMF? Let us know in the comments.